I am so excited to squeeze in one more post and introduce you to the Zona Sweater!! 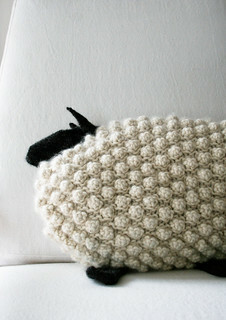 It’s not technically new – if you’ve been in my Ravelry shop or poking around my website, you’ll probably recognize it. But what is new is the fit and the sizes! I mentioned a few months ago in my facebook group that I was expanding a lot of my garments for larger sizes. This is the first upgrade, and I couldn’t resist making a few tweaks to the design as well. Head on over to Ravelry for all the info! If you love the pattern, grab it now. It’s 50% off until January 6th! Here are a few facts I know about stranded/fair isle colorwork: It’s really pretty, it’s not as hard or as intimidating as it looks, and I’m not an expert so I’m going to give you some of my tips, but I’m also going to link to people who know a lot more than I do! 2. Tension Your Strands. Because holding 2 colors of yarn at once doesn’t come natural to you, you’re going to have to really watch your tension. Remember when you first struggled to learn to knit? It’ll be like that at first, but you’ll get it and then it’ll be second nature. Until you it becomes second nature though, make sure each yarn is held at the correct ease and tension, regardless of the color you’re knitting at the time. If your tension is too tight, your knitting will pucker and pull when you’re finished – I like to spread my stitches out on my right hand needle as I knit them, so they appear on the needle as they would when I bind off, and then loosely lay my next color across the back of them. Let me know if you have any great tips or links to videos to add to the list! I’ve wanted to do a round up of some of my favorite accessories for knitters for awhile, but let’s be honest, after my yarn and needles of course, all I really care about is my cup of coffee or tea that better be within an arm’s reach. If you’re the same, this list is for you – hope you enjoy some of my faves! Posted by kmjones3 & filed under Knitting News. This post has 5 comments. Vote for the Winter KAL! Our last few Knit Alongs have been mostly garments. I know a lot of people are short on time at the holidays so I wanted to have a shorter KAL and have it focus more on learning newer techniques that you might not know. With that in mind, I’m focusing on cozies. They’re perfect for quick knit gifts, and because they’re so fast you can give them to nearly everyone, whether it’s a teacher or a friend. My favorite gift is a mug wrapped in a cozy with some hot chocolate and candy canes inside. If you want to include a gift card, there’s even a little pocket! They’re also really great for stashbusting so you don’t have to go out and buy yarn unless you want to. Vote on your favorite cozy and the techniques you definitely want to learn by clicking here. In my Ravelry store, all cozies are 50% until the 8th of December, including Cozy Gifts, if you’re interested in buying a bundle. Just add one or more to your cart for the discount to automatically apply. Finally my obsession with sweater dresses and wiggle dresses and knitting collide! I’m so happy to introduce to you the Cozy Vintage Dress, published in the December issue of I Like Knitting. Yarn: Lion Brand Wool Ease Thick and Quick (82% Acrylic, 10% Wool, 8% Rayon; 106 yards 97 meters/170 grams): 156 Grey Marble, 5 (5, 6, 6, 7) balls. If you’re thinking the name of this pattern sounds a bit familiar – you’re right! While I was knitting the Adirondack Basket Hat for the last Knit Along, I kept thinking it needed matching accessories. I haven’t come up with gloves just yet, but I am happy to report that I found time for a matching scarf! And for the next week, until November 16th, if you buy one, you’ll get the other pattern free on ravelry! Add the hat and the scarf to your basket for the discount to apply. I was contemplating a serious problem earlier this year: how can I make a proper winter sweater with no lace, no cotton, no nothing that I tend to favor? As I was browsing through books and most of the internet for ideas, I was struck by an amazing idea: Of course, I can make it with chevrons! But stick with me because this sweater is all about texture. Knit with a Malabrigo’s worsted weight wool, the textured focus means slipped stitches to create a beautiful chevron wave. It means overlapped ribbing at the shoulder. I even added little buttons! Check out my video, I chat all about it. Don’t forget to add it to your faves and queue on ravelry here. This sweater is published in Cast On’s fall 2016 issue. You can find more information about the issue and, if you prefer, purchase a digital copy here. It’s (almost) time for the fall Knit Along! This KAL’s voting was actually the closest I’ve ever seen it, but the Adirondack Basket Hat came out ahead by just a few votes! It does have cables, so if you’re new to cable knitting, get excited and ready to learn, but I especially love these cables because they’re not traditional. They’re really more of a basketweave pattern (hence the name), and so I think it’s a bit more fun to knit. 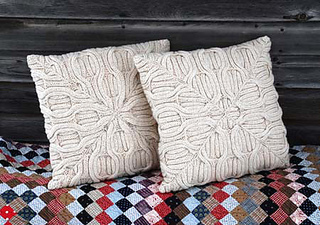 The pattern is broken up by simply columns that connect at the top so it would be perfect for a pom pom on top. 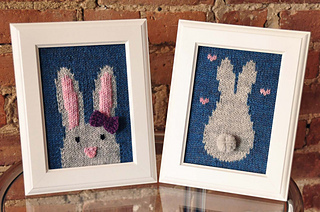 We can make our own with matching yarn or you get one of those nifty fur balls that are all the rage. Also, the hat is fitted and it’s one size fits most. If you’re a bit worried about that or you’re looking for a bit more relaxed fit, leave a comment and let me know and we’ll figure it out! We’re starting September 12, 2016. If you voted you’re already signed up, but if not, sign up here if you want to be included. All communication is done either via email or the facebook group. Want to see this in video form?! As you may have noticed, I am a huge fan of making garments. It’s wonderful to have total control over the clothing I’m wearing, from the materials to the fit. 1. I’m afraid it won’t fit. 2. I’m don’t want to waste money if it doesn’t work out. 3. I don’t know what I’m doing. Now, only you can determine what projects are at your skill level (and there are definitely simple sweaters versus incredibly complex sweaters), but I want to help sort out some information on sizing so your time and money shouldn’t go to waste. Check out the video below. Sizing can be complicated, especially if you’re new to creating garments, but hopefully I’ll demystify it a bit. (I might also make your head swim a bit, but give it a few minutes (or a few days) before coming back!) And remember: the best way to figure something out is to do it and learn along the way. So watch the video, figure out your size/ease and jump on in! Since it’s nearing that weird time of the year where I feel like it’s too late to start another summer top, but it’s too early to focus on fall and winter knit pieces, I’ve been thinking a lot about home decor. 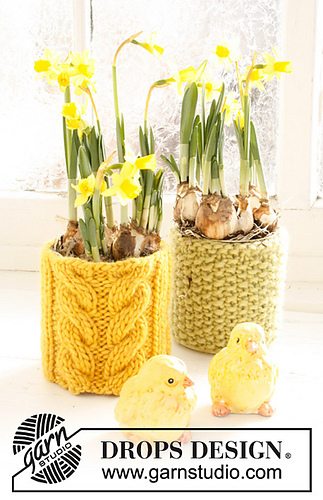 I know some people go a little overboard and knit everything, like cozies for their apples and eggs (seriously, WHY?! ), but I tried to keep my knitting wish list a bit more practical! As usual, there’s a mixture of free and not so free patterns, the pictures link to the ravelry pattern, and please share your favorite home decor item if I left it off the list! Table Runner – How gorgeous is this? It’s the perfect table decoration for summer, and I’ve always been a sucker for dandelions. Flowerpot/Vase/Mason Jar Cozies – Okay, cozies had to make the list, but these can sit out as decoration for a much longer period of time, so I had to add them. Magnetic Raindrops – Guys, this is so cute, and it has a function! I need to make a bunch of them. And maybe a cloud. 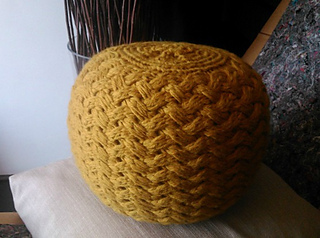 Poufs – There are quite a few of these if you search ravelry. I love the idea of having a footstool or floor cushion handy. 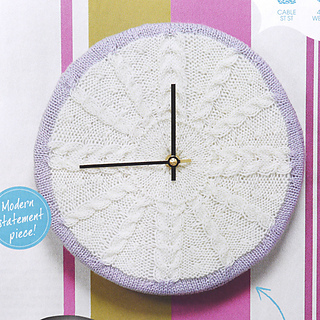 Clock – Remember when making your own clocks was all the rage on pinterest? (No? Was that just me?) Since I actually have knitting skills, this one might actually get done! Wall Art (Silhouettes and Bunnies!) 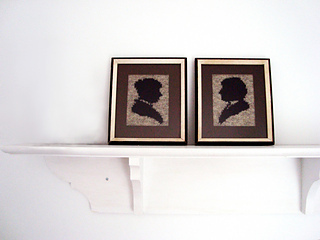 – I’ve been thinking about knitting some wall art for quite some time now. I’m a huge fan of both of these collections. 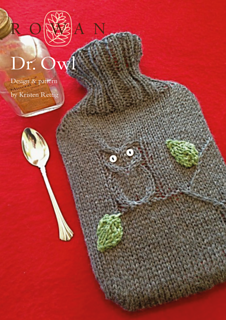 Hot Water Bottle Cover – This seems like one of those useless knit items, unless you regularly use your hot water bottle. Then I’d say it’s pretty essential. And so cute, too! Pillows (Sheep and Cable edition) – Throw pillows are essential to any properly decorated home (or so I hear) so I had to include these lovelies. The cablework in the first one is just stunning, and if I can combine functional and adorable, like in the Bobble Sheep, I all over it. Posted by kmjones3 & filed under Knitting Patterns. This post has 2 comments.